A week in the region in June showed it to be beautiflul, unspoiled and full of photographic interest. 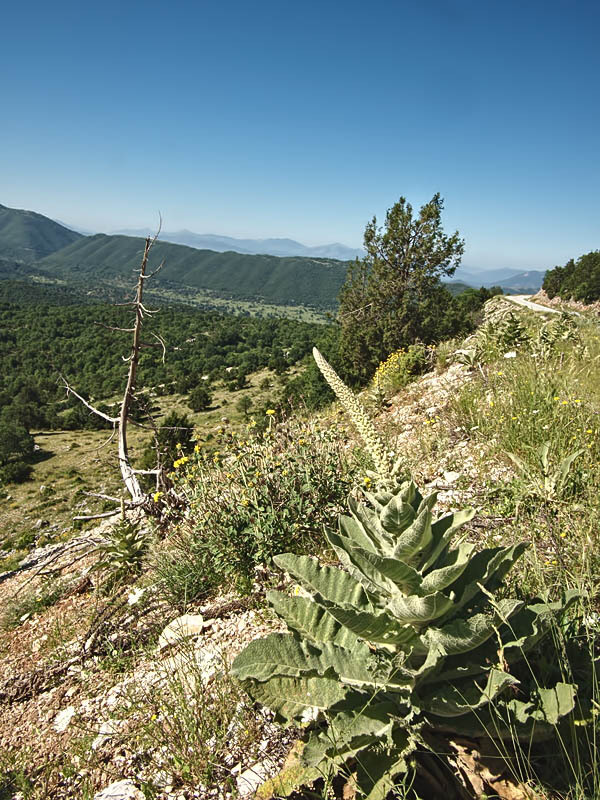 It wa slightly late in the year for flowers at lower altitudes but the meadows and roadsides on the mountains had large populations. Orchids were found in many places, crickets were everywhere, and familiar and unfamiliar butterfies and dragonflies were plentiful. Look for my posts in the Nature gallery. I'm not to happy with blue skies in digital images but I took panaoramic shots on fine grain film too. Further contributions will apear here as 'replies'. The horizontally stratified rocks (usually much more finely so than here) were a strong feature of the landscape wherever we went. After we had toured this complex we headed north, away from the town and into high meadow country, where we saw many orchids and other flowers. The edges of the roads were not as precipitious as we expected. Even very minor, remote roads were very drivable. 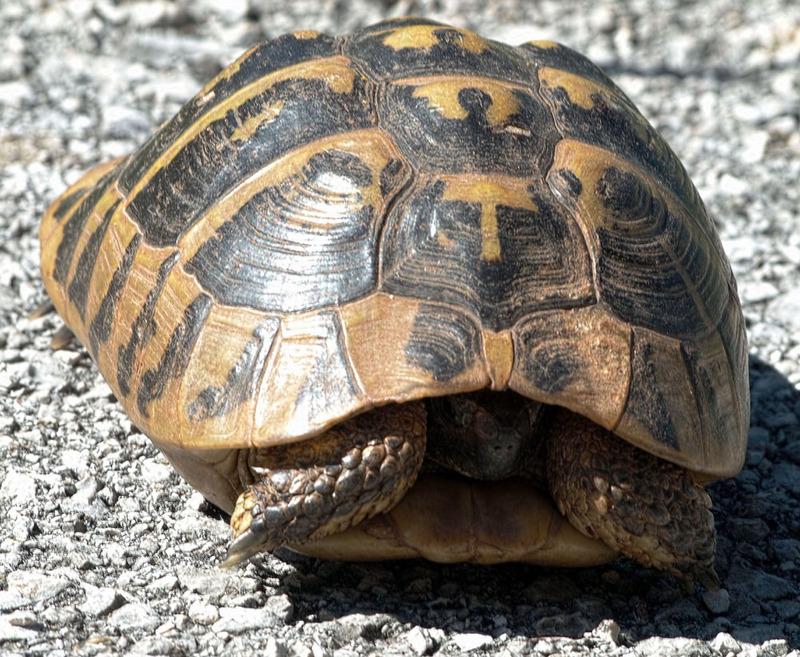 The Spur-Thighed Tortoise Testudo graeca. 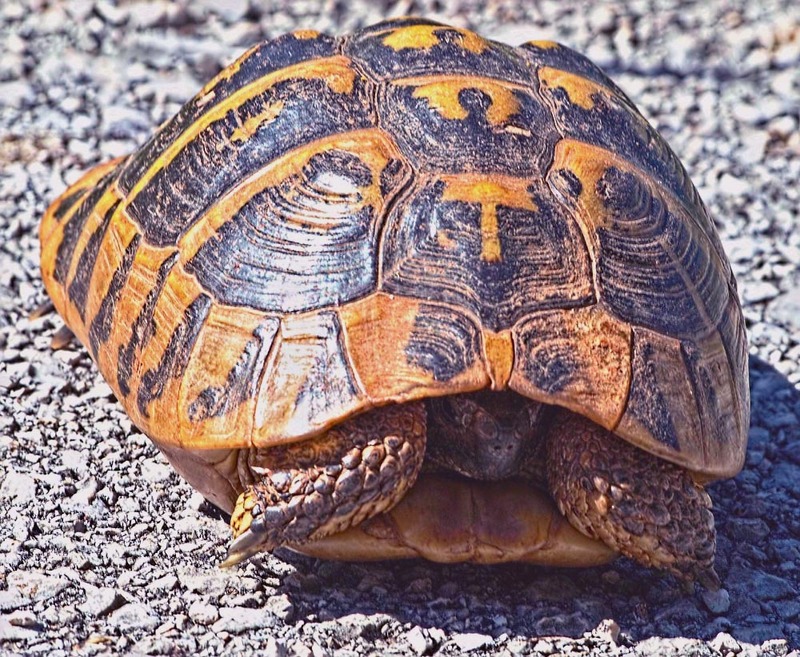 (Note the "T" on the shell). Most days we saw one on a road. We also saw snakes. The local tourist shops try to sell you a walking stick to lift the snakes out of your path. What you really need is running shoes as they retreat from human contact very rapidly, such that I never got a photo. I decided not to take my very large lenses with me. This turned out to be a good decision as we saw no birds larger than a Hooded Crow. Anyway, I found that I was able to do bird photography in comfort and some style. 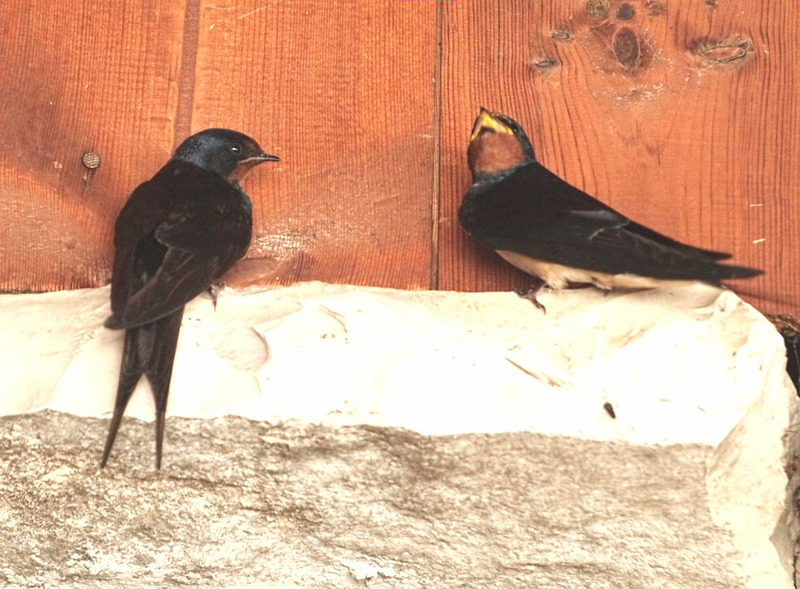 We stopped in a village restaurant for a drink and saw that swallows were nesting under the roof* covering the outdooor eating area. I took some shots (with my 90mm Elmarit?) and then went to see the local panoramic viewing point. We then returned for lunch and chose a table within 10m of the nest and with a good view of it. I had my Zuiko 70-300mm AF lens on my E-P2. It was then a matter of shooting when the birds returned to the nest every few minutes. I used ambient light. They were still building the nest and were bringing back dry plant material for the final stages. We noticed that the female was doing the building and was rather choosey about which bits she would use, discarding others with much loud scolding of the male. 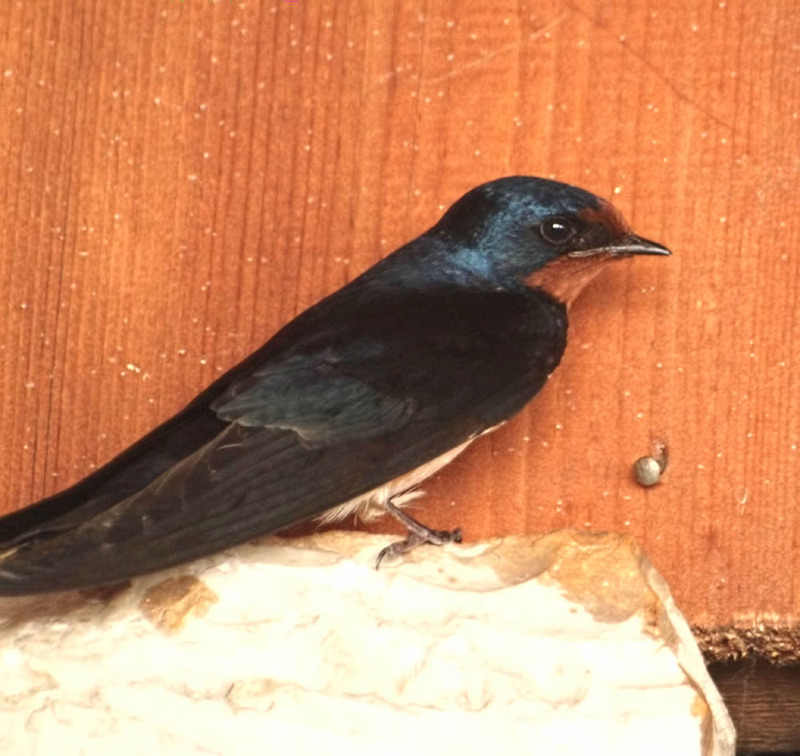 * The full name, never used these days, is the Barn Swallow. 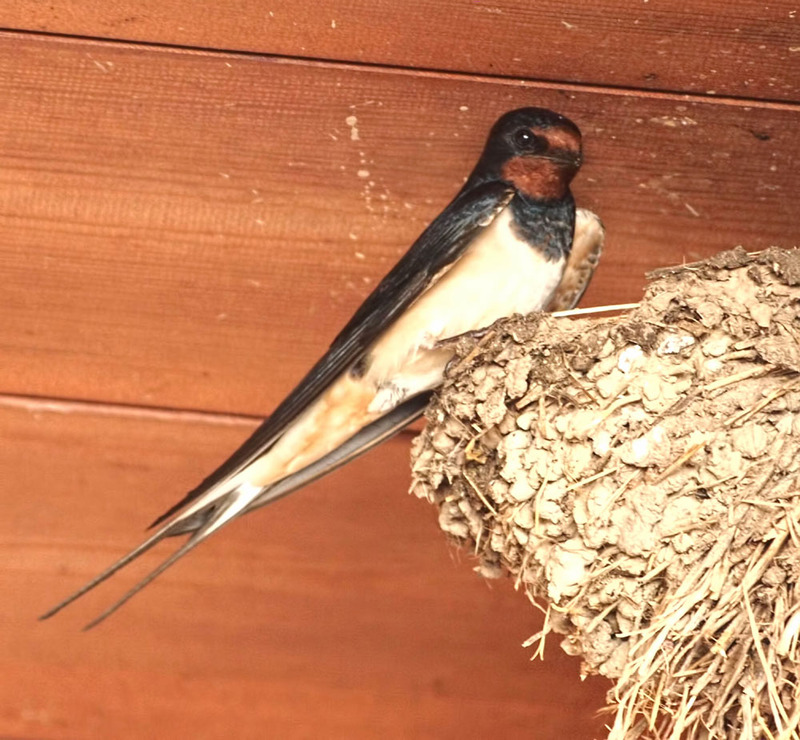 Unlike House Martins, which nest outside under the eves, the Swallow likes to be much further under cover. Woah!! That top photo is incredible!! I'd love to visit there sometime. Are there trails to walk down along the base of the valley? Not only down to but also along. 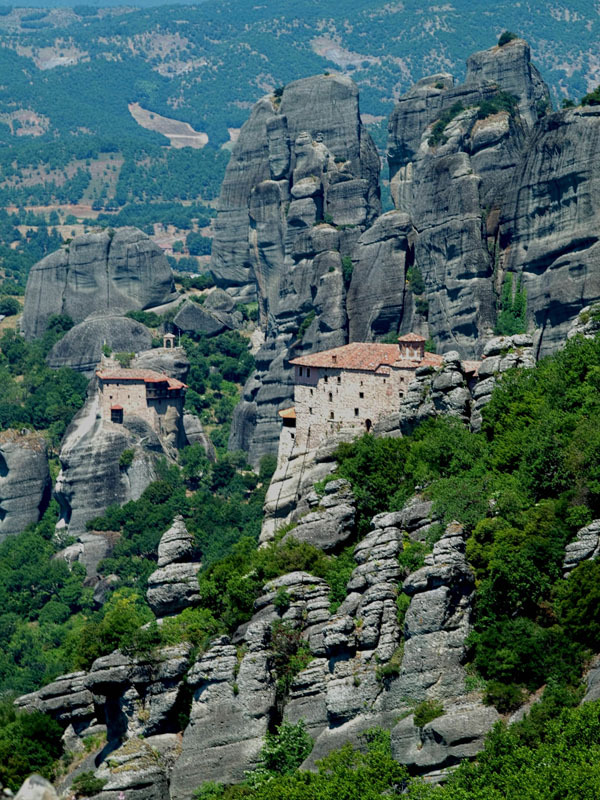 Many say it is the greatest walk in Greece. The full route is 14km /8 miles but there is a 4km alternative. You need hiking boots but it is "otherwise straightforward" and takes 6-7 hours. The walls rise to 915m/3,000 feet. 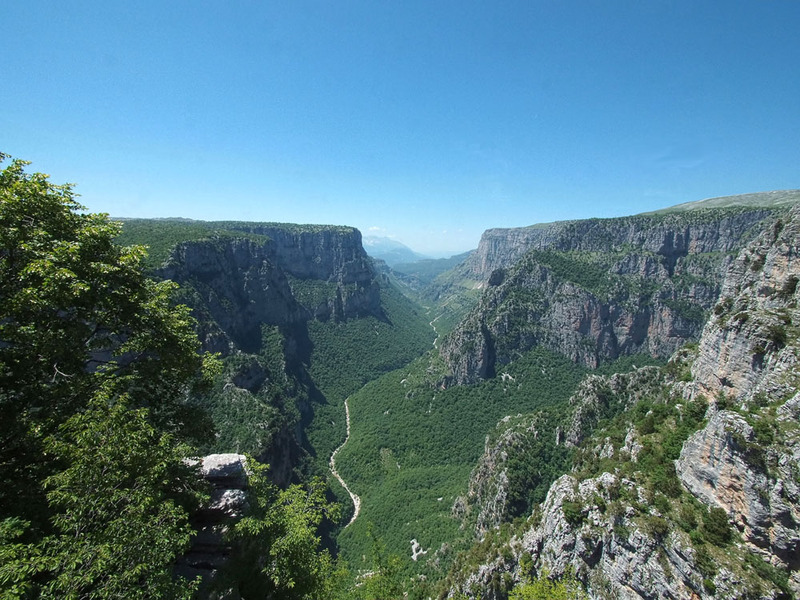 It goes through part of the Vikos-Aoos National Park. A sad footnote. Yesterday my Travel Agent told me that the package he sold us last year is no longer available due to some kind of buy-out of the local company in Greece and there is not a comparable alternative. i am sorry for you, this are real sade news and i can feel how disapointing this must be for you. On the other side i want to thank you, for posting this beautifull place i actually mist, hence never heard about, while living in Greece from 1999 til 2008. Yeah "S. . .t happens" one could say. Well, Lothar, I had one very enjoyable visit. 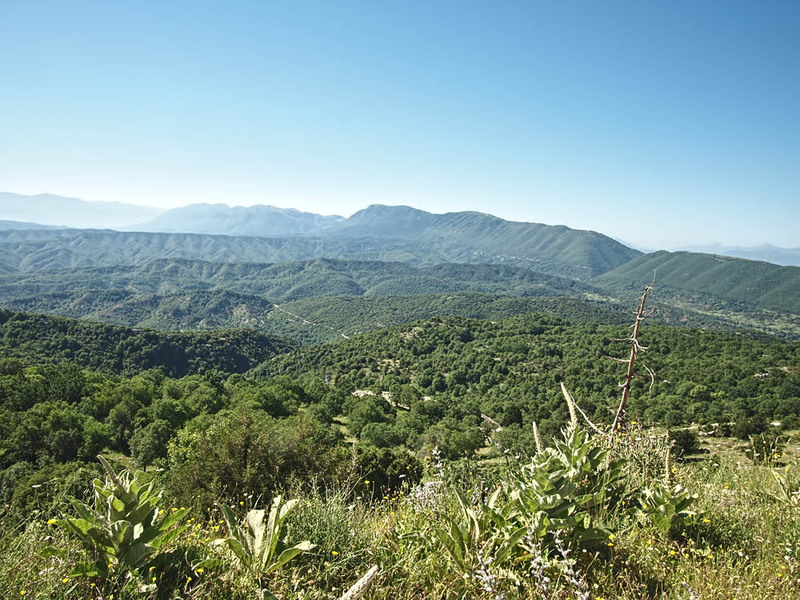 This truly is an unspoiled part of Greece. I suspect I will return by other means at some time.